It has been over a decade since talks regarding the demarcation of Eritrea-Ethiopia border stalled, and relations between the two long-standing nemeses deteriorated into an effective cold war. Although the Eritrea-Ethiopia war officially ended with signing of the Algiers Agreement in 2000, relations are still marked by recrimination, sabre-rattling, and efforts at mutual destabilisation. Although each claims to be against another war, the risk of escalation remains high along their heavily-militarised border. Both sides continue to undermine each other's stability, from allegedly supporting armed opposition groups to waging a proxy war in Somalia. At the heart of this crisis is the ruling by the Boundary Commission which was established under the Algiers Agreement, a peace treaty marking the end of two years of hostilities. The Eritrea-Ethiopia Boundary Commission was tasked with defining the contested border, and both sides agreed to accept its decision. However, having initially welcomed the ruling in April 2002, Ethiopia reversed its position a few months later, displeased that Badme, the flashpoint of the war, had been awarded to Eritrea. Eritrea refused to agree to a new commission and negotiations came to a standstill. Tensions remained high and relations remained sour. Since then, Ethiopia's position has softened slightly from its claim that the border judgment was "unjust and illegal"; in 2005, for example, Ethiopia's foreign minister wrote a letter to the UN Security Council in which he repeated Ethiopia's earlier acceptance of the decision "in principle" and added that this "does not mean going back to the drawing board". Eritrea meanwhile has continued to insist that dialogue cannot recommence until Ethiopia unconditionally accepts the border ruling. This environment of mistrust and stagnation has defined the status quofor the last decade, with prospects of genuine peace seeming far away. Recently, however, there have been hopeful signs that this could be slowly changing with each side expressing greater readiness for talks. The first step in answering this question is to examine why the Algiers Agreement failed. On the one hand, there is some truth to the argument that neither Ethiopia nor Eritrea had any real interest in the process to begin with. But at the same time, there was also a multitude of real and complex issues which hindered any possible reconciliation. First, the Algiers process foundered because it failed to address the root causes of the war. The conflict arose due to myriad historical, political and economic issues, but the peace process treated the conflict as a mere border dispute. By focusing on just the immediate cause of the war, it eschewed the deep political and economic controversies central to the war. This undermined chances of a durable solution from the outset. Second, this narrow approach was exacerbated by a flawed arbitration process which focussed in on legal matters rather than political disagreements. Legal methods are inherently conservative and inflexible, and the clause of Algiers Agreement which said the boundary decision would be "final and binding" left no leeway for cooperation - instead, it propelled both parties into a zero-sum game. The arbitration process was also weakened by contradictory rulings by different bodies. Initially, mediation initiatives concurred with Ethiopia's stance that Eritrea had crossed the international boundary and should withdraw, but the Boundary Commission's ruling, which awarded Badme to Eritrea, suggested Eritrea had not advanced beyond its borders. This was again complicated by the later ruling by the Claim's Commission that found Eritrea responsible for igniting the war. Recently, there seem to have been improved prospects for peaceful resolution. The death in August 2012 of Ethiopia's long-time leader Meles Zenawi - whose personal rivalry with Eritrea's president Isaias Afewerki stoked hostilities - has raised hopes of a return to the negotiating table. After taking office, Meles' successor, Prime Minister Hailemariam Desalegn, expressed a willingness to travel to Eritrea to talk with Afewerki without preconditions. And in December, Afewerki reportedlyrequested mediation by Qatar, which previously brokered an agreement to resolve a border dispute between Eritrea and Djibouti in June 2010. Several other issues could also push both parties to end the low-level conflict. After the Algiers Agreement, both governments sought to settle unfinished scores. In the protracted cold war, however, there was a clear winner and loser. Ethiopia managed to seize the status of regional hegemon, leave Eritrea diplomatically isolated, win the support of major powers such as the US, and get UN sanctions imposed on Eritrea. Eritrea, meanwhile, suffered economically, lost the upper-hand in the legal border battle, and came to be seen as a pariah state, accused of sponsoring regional instability and terrorism. The regime in Asmara is now in a struggle for its own survival. Its military capability is checked, external pressure remains high, its economic situation is dire, and there appears to be simmering domestic dissent as exhibited by several high-level defections and an army mutiny on 21 January, 2013. This could suggest that Eritrea is more likely to agree to talks, but this is not necessarily the case and there are still many hurdles remaining. Firstly, there is baggage of the past, contrasting political and national interests, and the ongoing rivalry. Secondly, Ethiopia's strong position could make it less willing to compromise. Thirdly, peace efforts may not even be in Afewerki's interests. Afewerki's regime has been subjecting Eritrea to political repression and economic hardships all in the name of defending against Ethiopian annexation. Reconciliation with Ethiopia would undermine this strategy and confront the regime with an array of challenges such as demobilisation, a return to constitutionalism, and a move to democracy - all so far postponed given the alleged existential threats facing the country. For Afewerki, a 'no war no peace' status quo might well be preferable to a peace that could cost him his power. Secondly, any peace initiative should go beyond previous negotiations in seeking a comprehensive settlement of the root causes of the conflict - both economic and political. One major contention is land-locked Ethiopia's claim of a "right of access to sea" either through incorporation of some Eritrean territory along the coast or guaranteed lease of the port of Assab. 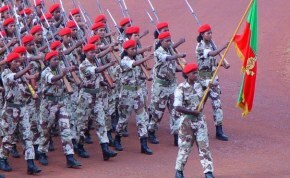 Previous fears that Ethiopia could claim access to the sea by military force make Eritrea's insistence that Ethiopia unconditionally respect Eritrea's territorial sovereignty all the more salient. The lease of Assab to Ethiopia would likely be in Eritrea's economic interest, but a history of Ethiopian (previously Abyssinian) attempts to annex the country mean mistrust is high. Any peace effort must come up with an intelligent way to address this and other complex issues. Finally, a sustainable peace process should emphasise long-term reconciliation and cultivate the right environment for the normalisation of relations and possible future cooperation. Alongside formal negotiations, informal channels could also be important in this. Non-official Track II diplomacy involving civil society, community elders, religious leaders and others could provide an effective peace-making mechanism. It has the advantage, amongst other things, of laying the foundation for a more durable peace through broad social reconciliation by dealing with historical-political grievances and the deeper roots of inter-communal conflicts. Unlike more adversarial formal proceedings, it could help thaw hostilities between two governments locked in the pride and prejudice of their kin communities. Salih Nur is an Eritrean writer and Public Policy and Good Governance scholar with DAAD (Deutscher Akademischer Austausch Dienst), studying Democratic Governance at the University of Osnabrueck, Germany. He previously taught political science at Asmara University and the Eritrea Institute of Technology. Read the original of this report on the ThinkAfricaPress site.